Construction: You can see your reflection in this cigar. The wrapper leaf is silky with oils just glistening in the light. It's one of those cigars that will make your mouth water just looking at it. Pre-light Aroma and Draw: Out of the cellophane the Late Hour gives off notes of nice sweet cocoa and espresso. I get some raisin and damp earth from the foot as well. A cold draw gives up a very heavy tobacco flavor with some woody notes - like deep in the forest woods. Light and Burn: Yeah yeah, it lights with no problems....the burn...oh, sure...laser perfect from start to finish...but please do yourself a favor and smoke it slow....I mean slow-motion slow. 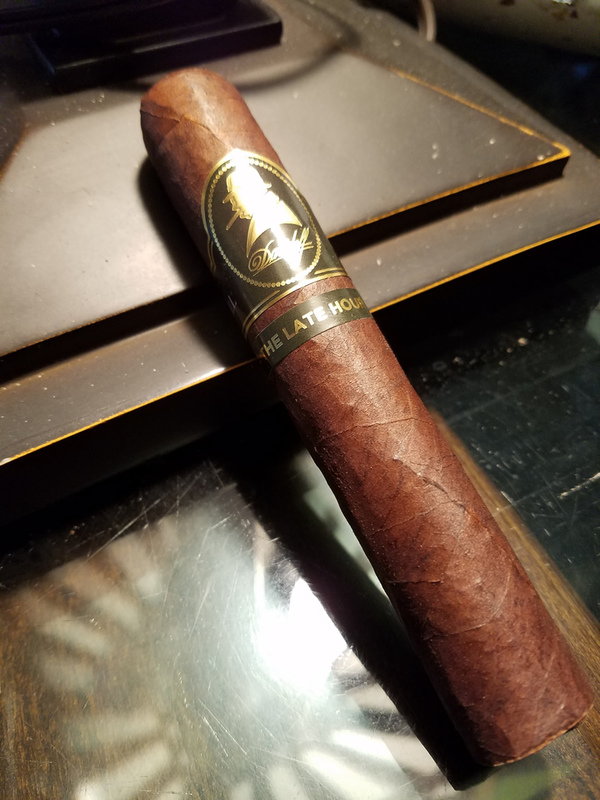 I tend to blast through cigars when I am not reviewing them but this one has to be smoked as slow as possible or the intense heat your puff-puff-puffing generates will ruin the complexity of the cigar. Tasting: Right off the bat, the Late Hour hits with rich notes of leather, white pepper, and espresso. Not many cigars develop such a deep core this early, but Late Hour certainly does. Earth and dark damp wood. So far smoking this cigar feels like walking in the woods on a cool crisp day. Hefty notes of peppery cedar, oak sweetness, and charred firewood wrap around that insanely rich earth core to provide one incredible first third. One of the richest and most decadent cigars I have had in years. The charred earth note pulls me into the second third. Unmistakable notes of the scotch barrels show up here with a nice bright finish very reminiscent of the finish on a good highland single malt. I pick up some very smoky peat notes, malted barley, a slight honey sweetness, and some citrus zest show up as well. Oak stands out more prominently in the final third. Notes of cedar, white pepper, a deep earth sweetness, treacle syrup, and orange zest round things off nicely. That deep dark core of gritty damp earth still stands out in the background too. This cigar is simply amazing. Value: Herein lies the rub....it's a Davidoff, folks. If you started this review expecting a $10 or less pricetag, you are way off. The robusto runs just shy of $18. It is, however, worth every red cent. Final Thoughts: Were I to hit the lottery, this would be a daily - or at least twice a week - cigar for me. As it is, the Late Hour is a cigar to smoke when you want to treat yourself to something truly special. To the casual observer, Davidoff might seem like an overpriced brand. Personally, I consider them the one cigar that is worth the excessive price tag. The Late Hour actually stands out as one of their greatest creations. 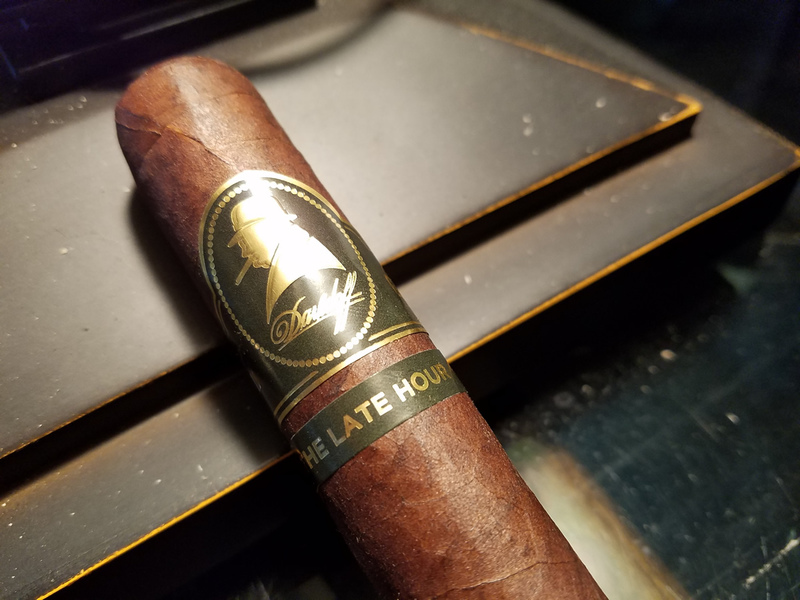 Ageing tobacco in whisky barrels can over-saturate a cigar and remove the complexity of the tobacco, so however Davidoff does it with the Late Hour - some druid spell or blood sacrifice - I tip my hat to them for creating a cigar for the ages.